A proposal that would have allowed states to require clear labels is rejected by Republicans and Democrats. Simple concept: people who consume food should have information about what’s in their food. 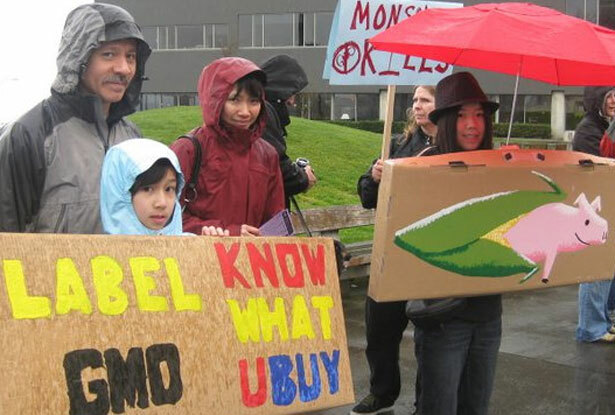 And if foods contain genetically modified organisms, consumers surely have a right to know. Who could disagree? Most senators, that’s who. While sixty-four countries around the world require labeling of foods with genetically engineered ingredients, while the American Public Health Association and the American Nurses Association have passed resolutions supporting this sort of labeling in the United States, the Senate voted 71-27 to keep Americans in the dark. Fearing lawsuits from multinational biotechnology, agribusiness and food production firms—which also maintain some of the most efficient lobbying teams in Washington—even states with long histories of consumer protection and right-to-know legislation have been cautious about introducing this sort of food labeling. The Sanders amendment addressed that threat, establishing a clear federal policy that states are allowed to require clear labels so that consumers know what they’re eating. “Monsanto and other major corporations should not get to decide this, the people and their elected representatives should,” said the independent senator from Vermont, where the state assembly recently voted 99-42 to call for labeling. Of the 71 “no” votes, twenty-eight came from Democrats—many of whom fancy themselves consumer advocates and backers of the public’s right to know. The other forty-three “no” votes came Republicans, almost all of who say they want to free up the states to experiment and innovate. Unfortunately, some of the loudest lobbyist voices in Washington say different.